Business is all about competition. If you want to be ahead in the competition then you have to hire only the best employees for your company. Inefficient and substandard personnel will affect the growth of your company severely. The company’s smooth operation is dependent on its workforce and the skills of its service providers. Choose a Bookkeeper Naples FL so that you get one of the best bookkeeping services. They have the dynamism and enthusiasm to improve the financial condition of your company. If your company is running in debt, then they can pull up your company and recover its economic stability. They set their own timelines and always finish their work in time. They are motivated and devoted to their work so that your business does not suffer any hiccups in the financial department. They are able to visualize the big picture of the company and work passionately to achieve their set goals. Many are not sure what the word “Bookkeeping” essentially means. It is the maintenance of daily records of every business transaction. Bookkeepers keep account of every receipt and payment that is made via the company. They also keep a regular check on the bank accounts of the company so that there is no fraud or mishandling of the funds. They are accountable for every penny that the company earns or loses. The profits or losses of the company are determined by them. If they are not able to calculate accurately the expenses of the company, then the company might face crisis situations. They should keep track of all the creditors of the company. Payoffs should be generated for each of the creditors at the end of every month or quarter as per the contract. The creditors can create havoc if they are not paid at the right time. If their payment is not made properly then they might stop financing the Company which will lead to the stagnation of business operations. The invoices of suppliers and vendors have to be cleared on time as well. If the company has lent money to individuals or other companies then it is the duty of the bookkeeper to register received payments on the due dates. Sometimes there are problem payers among the clients. A bookkeeper has to make sure that the payer pays the money on time to the company. If the payer creates problems every time he pays money to the company, then the bookkeeper can raise a concern in the senior management regarding the client. Payroll generation is one of the major tasks of a bookkeeper. If there are any problems regarding payroll, then the employees can create a ruckus and your business can come to a standstill. A competent bookkeeper Naples FL can maintain payroll of even thousands of employees without any difficulty if he is given the necessary tools. Choosing a skilled bookkeeper can be tricky. 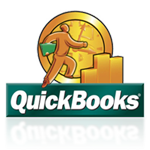 There are hundreds of service providers who claim to provide efficient bookkeepers. If you go for a survey then you will realize that a bookkeeper Naples FL may be the right choice for your firm. They have been so trained that they can work equally well in small or large scale business. They know exactly what to do in the financial department so that the business never sees downfall. They will take care of all the financial statements of the company like the balance sheets and the profit and loss statements. They will submit regular reports to the senior management so that the management is abreast about the financial status of the company. Every form of business is different in its modus operandi and management. These bookkeepers take very less time to understand the business. Once this is done, then they provide tips and suggestions to improve the operations of the business on the financial front. If you are the business owner you need to trust the bookkeeper and give him full responsibility of the financial issues. If they manage the bookkeeping of the company, then the profits will shoot up instantaneously and your company will be looked upon as an example by other companies. You cannot rely on a particular work strategy for decades. You need to adopt new methodologies and tactics for increased accuracy, speed and work. 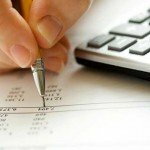 A bookkeeper Naples FL knows about all the modern techniques and can also bring about important changes in your organization so that the accomplishment rate of the company increases. The target market also goes modifications in size and structure every few years. Customers are either attracted to other products or their demands proliferate. The company tries to create new products to satisfy the growing demands of the customers. Amidst all this, the bookkeepers has to monitor the funds of the company so that the risk factor never crosses a threshold. They immediately warn the top management if they see a sudden depletion of finances. It is important for every business organization to seize opportunities. A company will never be able to develop if it stays away from risks. Long term stability is guaranteed only if the company is ready to take chances. Bookkeepers take part in analyzing the future prospects and investments. They are instrumental in calculating risks. If they find a future contract to be potent enough then they can encourage the senior management to crack the deal. Proper communication between the bookkeeper and all the departments as well as the top management is essential otherwise there will be gaps in data tracking and analysis which will jeopardize the growth of the company.